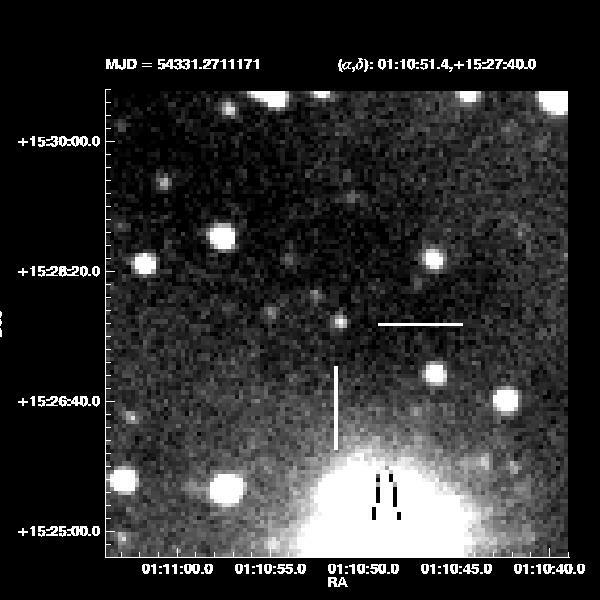 The supernova, designated as ROTSE3 J011051+152740, is located at RA: 01:10:51.37 Dec: 15:27:39.9 (J2000, uncertainty < 1"). It was first discovered at 18.3+/- 0.1 mag in unfiltered CCD images taken on Aug 19. 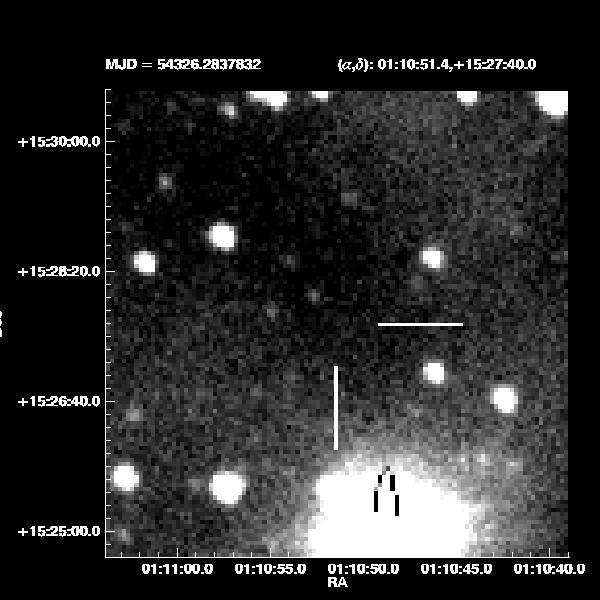 28 UT by 0.45m ROTSE-IIIb telescope at McDonald Observatory, Texas. The field has been monitored by ROTSE-III telescopes on a daily basis before and after the discovery. 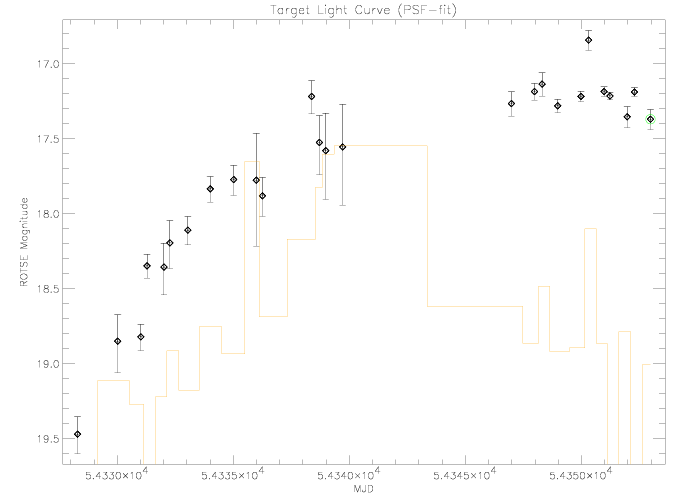 The supernova was not detected to a limiting magnitude of 20.1 on Aug 14.30 UT. It was first detected by ROTSE-IIIb on Aug 16.29 UT at magnitude 19.5 ± 0.1. From then it rose to 17.2 ± 0.1 mag on Aug 26.38 UT and stayed around 17 mag till most recently observed on Sep 9.98 UT by ROTSE-IIIc (at the H.E.S.S. site at Mt. Gamsberg, Namibia). All magnitude quoted above are unfiltered and calibrated relative to USNO-B1.0 R. A spectrum was taken with the MDM 2.4m telescope by Chris Peters and John Thorstensen from Dartmouth around Aug 22.4 UT. However, preliminary analysis of the low S/N data didn't show significant feature that could help identify the nature of the transient. No object was seen at the position in the Sloan Digital Sky Survey images, nor in Digitized Sky Survey image or any USNO archive plates.